Does the idea of back to school shopping have you seeing dollar signs? If so, don’t fret just yet! Building a back to school wardrobe doesn’t need to be expensive or overwhelming. With a little planning ahead and shopping savvy, you can get the clothing your children need at an affordable cost and in minimal time. 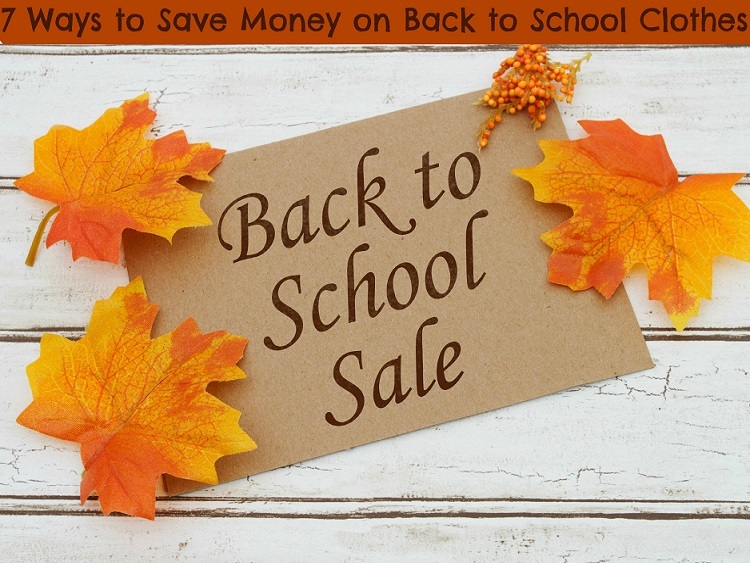 Here are 7 ways to save money on back to school clothes and take the worry and stress out of the season. 1. Take an inventory of your closets. Begin by inventory what you already own to see what might still be usable. Belts, socks, pants, and other items make still have some wear left in them. Inventory your closets and see what you can skip buying and just reuse instead. Consignment shops tend to carry back to school clothing as well as uniforms for local schools. If looking for anything specific, let the shop know so they can call you when it comes it. You can also sell last year’s clothing at your local shop to free up some cash for this year. 3. Join Facebook selling groups. Find local selling groups where people in your own community will be selling children’s clothing and uniforms. This is a great way to get what you need for a fraction of the cost while helping out a mom right in your own area. Many retail stores will offer coupons this time of year, so be sure to grab a Sunday paper or check their websites for printable. You are likely to find great coupons, such as $5 off $25 or even $10 off $50. These savings can really add up and all you need to do is snip the coupon out. Ebay is an excellent place to snag new and gently used children’s clothing items and even uniforms. Check out Ebay now so you can get the items you need and want in time for back to school season. You will be amazed at all of the name brands you will find. Can you buy clothing bulk? YES! Walmart and Old Navy both offer bulk clothing options on their website. This way you can stock up on essentials such as uniform pants, shirts, even socks and underwear at a nice discount when buying in bulk. If you can handle it, try waiting until a week after school starts to shop. By then all of the clothing will be drastically reduced and you can really stock up. If you can’t wait, buy a few pieces to get you through the first week of school and then save the rest for the week after. How do you save money on back to school clothes? The going back to school season can wreck havoc on our budget if we do not practice wise spending. These are all great tips you’ve listed. I always do the closet inspection first. These are all great ideas. I am always looking for ways to save some money! Children’s clothing resale boutiques like iSpy Clothing can help you recoup value from your kids’ outgrown items, or simply help you save on like-new brand name clothing your kids need now. 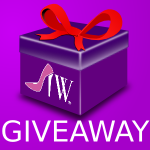 Drop by http://www.4theloveofmommy.com for a review of iSpy, coupons and a chance to win $100 in kids’ clothing free. All great tips. Luckily my daughter uses uniforms, so I never have to worry about BTS wardrobes! Those costs can really add up so these are great options. I’m always looking for ways to save money on clothes. I usually just grab a few things then shop the clearance sales. My kids needed winter clothes and I found a ton of great deals at Kohls a few weeks ago. These are great tips. I use a lot of coupons around this time and sometimes, I shop at consignment stores, too. I had no idea you could buy uniform basics in bulk. That is a really great idea. Awesome tips. I know you can easily spend way over your budget if you are not too careful. Clothes can really add up. I always go for the deals. We do a lot of online shopping! I really regret getting rid of all my kids uniform clothes after taking them out to homeschool because now I have to go back and buy it all over again. These are some great tips! We hit the sales at Kohls and went back today with our Kohls cash. It was nice to save as much as we did – all parents spend so much this time of year. I have used the shop consignments, I also shop and get a few nice brand new outfits but save the money for outerwear like coats and backpacks. This year we shopped on Amazon. I am buying 10 pairs of pants that are brand new and two pairs of shoes that are brand new that need to have a insert for Bella’s feet. I love to use coupons whenever i can. I like to shop at the clearance warehouses. There are always great deals there. These are great tips. I love to buy in bulk. It is a great way to save money. I do the consignment route and save a lot of money. Generally the money I get from taking my clothes to consignment goes right back into buying clothes, so it is like I am never actually spending out of pocket, it just rotates. Back to School clothes and supplies can get really expensive. I have spend well over one thousand dollars this year between uniforms and school supplies. Back to School shopping is always going to be expensive if you don’t plan it well upfront. And these are some great tips to make sure you save some money easily. Facebook selling groups is something new for me, but I would love to try them. Great tips on saving money on clothes. Clothing can get really expensive so it’s nice to have other options. Great tips. Consignment shops were my favorite place to shop when my girls were little. I love the tips! Taking inventory is my favorite!! Great tips. I am glad my son is not to picky about clothes. That helps too.